If NASA needed additional cause to accelerate the agency’s Commercial Crew Program – it received it this morning. As of this writing, none of the 16 nations involved in the International Space Station Program have a means of traveling to the lab. After July of 2011 and prior to Thursday, Oct. 11, 2018; cosmonauts and astronauts have traveled to the ISS via the Russian Soyuz rocket and spacecraft duo. 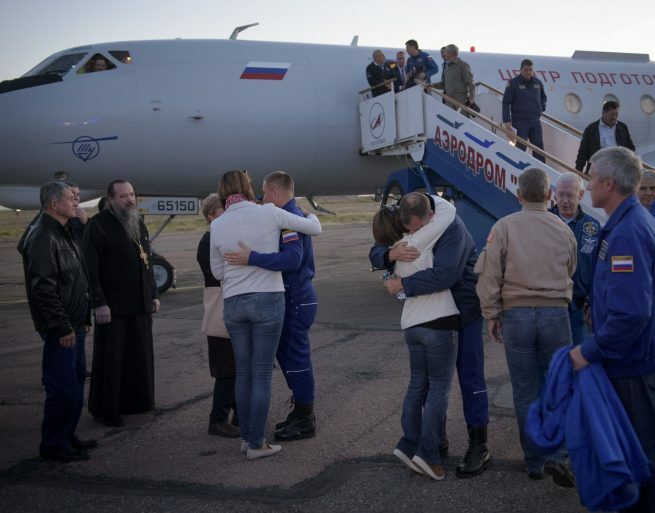 This morning that system encountered a failure that caused an abort resulting in Russian cosmonaut Aleksey Ovchinin and NASA astronaut Nick Hague to touch down back on Earth – far earlier than expected. 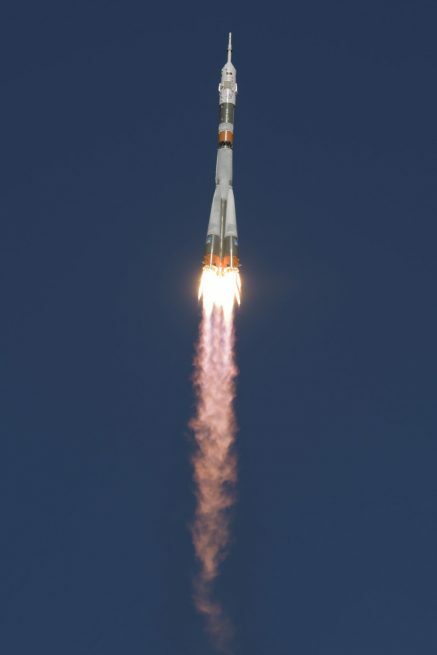 That day began with a Soyuz-FG rocket lifting off from Launch Complex 1 at the Baikonur Cosmodrone and after about two minutes into the flight an abort scenario unfolded. The crew on board became aware there was a problem had occurred via a booster emergency light, this let them know that there was a problem with the ascent stage. Shortly thereafter their abort motors fired to life. The MS-10 crew were then accelerated very quickly and away from the booster. The crew then activated the ballistic reentry mode. By all accounts the crew performed flawlessly during this incident. They were not alone in being praised for their professional handling of what must have been a stressful situation. The launch team on the ground remained in contact with Hague and Ovchinin throughout the event. “I hope they get down safe, that was the only thing going through my mind,” Wiseman said. During the sequence of events that took place before they landed, the intended Expedition 57 crew members encountered some rotation of the vehicle as well as 6 to 7 times Earth’s gravity. They appear to have endured this with little-to-no impact to their health. Estimates provided by NASA placed the MS-10 spacecraft at about 31 miles (50 kilometers) in altitude (the Kármán Line, places the “border” of space at around 62 miles or 100 km) when the abort occurred. The Russian Federal Space Agency, Roscosmos, will now open an investigation as to the cause of the accident under a “commission.” Investigations are something Roscosmos is getting additional experience with of late. This makes the second investigation in less than six weeks that the agency has had to open. The last of these reviews was opened after a pressure leak that originated from the MS-09 Soyuz on August 30 was detected. While quickly discovered and repaired, the source of the leak, a small hole drilled into the spacecraft, caused Roscosmos head Dmitry Rogozin to make statements involving sabotage and threats of criminal charges. Given that another Soyuz spacecraft has encountered yet another problem in so short a time span – raises concerns about the agreement NASA has with Russia to fly NASA astronauts on Soyuz spacecraft at a cost of approximately $75 million a seat. NASA’s International Space Station Operations Integration Manager, Kenny Todd deferred the question of whether NASA would have to pay for the unfulfilled MS-10 mission. In terms of this latest mishap, Todd, stated that the commission’s investigation would begin “soon” and that the U.S. Space Agency anticipates whatever findings are made will be shared with NASA. Today’s dramatic turn of events will have some impact on the station’s current residents: European Space Agency astronaut Alexander Gerst (commander), Roscosmos cosmonaut Sergey Prokopyev (flight engineer) and NASA astronaut Serena Auñón-Chancellor (flight engineer). The trio is currently scheduled to be on board the ISS through December. This should provide Roscosmos with the better part of two months to understand what caused the accident and to correct this deficiency. In the short term, the failure of MS-10 to reach orbit means upcoming extra-vehicular activities (EVAs) will not take place as they were originally envisioned. At present, and given that the $100 billion station’s complement will have two less personnel on board, the orbiting lab is well stocked with supplies. For long term operations at the station, the pause in Soyuz flights could have a significant impact. Given there are no crew-rated spacecraft currently in service and the one that was is now under investigation, there is no means to launch anyone to the station. Each Soyuz spacecraft has an operational “life’ of about 200 days. This raises the concern the ISS could, if whatever today’s accident was caused by is not discovered soon enough, could be left without a crew. This is actually something NASA has prepared for. In fact, if required, the station could be operated by controllers on the ground. Throughout the course of the day, NASA officials repeatedly expressed support for and confidence in their Russian colleagues. 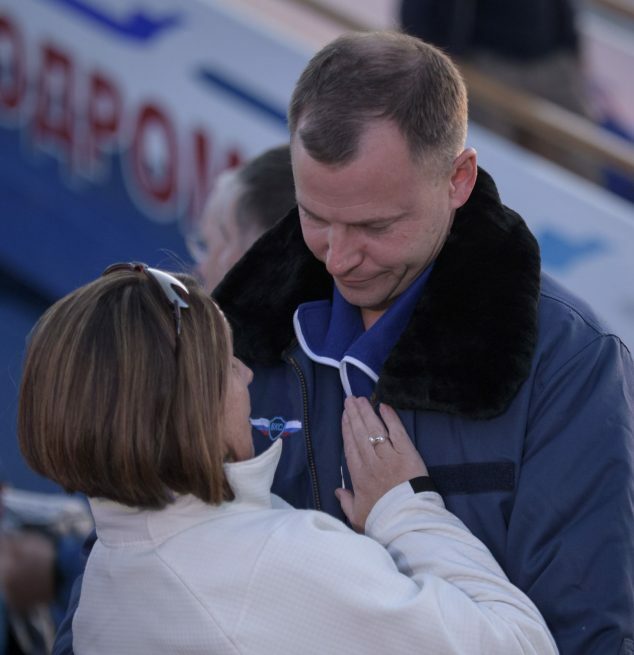 While the launch’s outcome might have been less than a resounding success, Todd and Wiseman noted that, in the end, the success of Soyuz’s abort procedures ensured the safe return of Hague and Ovchinin and that was the most important factor to be considered. > Given that another Soyuz spacecraft has encountered yet another problem in so short a time span – raises concerns about the agreement NASA has with Russia to fly NASA astronauts on Soyuz spacecraft at a cost of approximately $75 million a seat. Soyuz the spacecraft haven’t encountered any problems though, it performed flawlessly. Soyuz-FG the rocket did. Additionally, this can raise any concern only if the root causes of these two issues are related in nature. The launch failure might very well be statistical, since Soyuz-FG itself is quite a reliable vehicle, even with a 1 failure in 65 launches. Or it might be not, if it shares the same root cause. It’s too early to tell. De-manning ISS should not be an option at all. I was shocked by the casual attitude of the NASA program manager, Todd, with regards to the various scenarios. Imho, the best option is to launch Soyuz MS-11 unmanned and to make an autonomous rendezvous and docking. That gives Gerst, Chancellor and Prokopyev a fresh emergency escape vehicle. It also permits normal operations and commercial crew their window forboth test flights. Leaving the ISS empty not only risks a potentially unforseen mishap but could let the world public perceive human spaceflight as an irrelevance. I’m sure some do already but why give critics more ammunition? Can anyone explain to me why the is a 200 day restriction on the Soyuz spacecraft? As I understand it, the 200 day time limit for a safe return Soyuz is the ssfety margin of the very corrosive liquid propellants used in the thrusters. Hydrazine and nitrogen tetroxide are not to be trifled wirh. The 3-module Soyuz has 28 different thrusters on two redundant systems, but all are fed from a single common pair of tanks in the service module. The propellants have a known on-orbit shelf life, derived from decades of using UDMH/N2)4 hypergolic thrusters on most of the orbitally maneuverable spacecraft and satellites flown. Being a manned spacecraft, the Soyuz on-orbit life is reckoned as less than unmanned craft. The trust factor. Soyuz lifetime on orbit is due to the descent module *not* having the udmh system. Attitude control on this module is via a hydrogen peroxide system (presumably used for its low toxicity as opposed to the hypergolics). This breaks down over time, hence the limited lifetime on orbit. A Soyuz capsule beyond its orbital lifespan should however still be capable of the ballistic descent mode, if not the lower g controlled mode.